Most time-consuming task is evaluation of judges. The constitutional reform submitted to the Verkhovna Rada is a unique chance to change the judicial system, deputy head of the Presidential Administration, Oleksiy Filatov, said on 30 May. 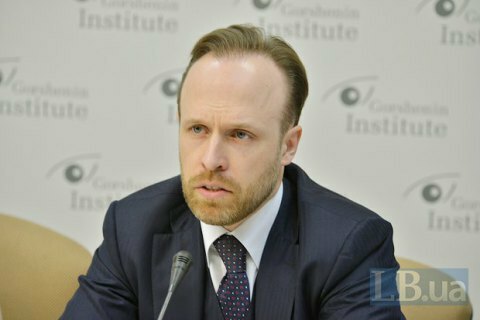 Speaking at a roundtable conference titled Judgement Thursday of the judicial reform: will the amendments to the Constitution pass?, held jointly with the Reanimation Package of Reforms civic platform in the press-center of the Gorshenin Institute, Filatov recalled that President Petro Poroshenko has defined judicial reform as one of the key tasks in the Ukraine-2020 Strategy, started in 2014. "We are now having a unique chance to do this in the regulatory part, institutional modernisation and personnel update," said Filatov. The official believes the implementation of the reform, once it is adopted, will take at least eighteen months. "It is planned that the Supreme Court should be established within six months after this law becomes effective. The judges of appellate courts should be evaluated within a year and a half/ Simultaneously, competitions in the appellate courts will be carried out. As for the institutional changes in the Supreme Council of Justice and other organs of judicial self-government, it can be done fairly quickly," he said. On 2 February, the parliament approved the draft judicial reform bill in the first reading. The bill, in particular, provides for the transfer of powers to create and liquidate courts from the president to parliament, and creation of a new body of judiciary - the Supreme Council of Justice. Currently, the Supreme Court is the highest judicial authority only for the courts of general jurisdiction and is not for specialized courts. According to the draft judicial reform, the Supreme Court would be the highest court in the whole judiciary system of Ukraine.